After struggling for many years to replace the physical fingerprint reader on its high-end smartphones with a modern sensor hidden under the “Infinity” display, Samsung is reportedly looking to embrace the future of biometric recognition at last, but not just on the Galaxy S10. The company could actually unveil a pair of new Galaxy A-series mid-rangers with both tiny notches and in-screen fingerprint scanners before the S10, according to recent gossip and a fresh rumor out of Korea (translated). Insiders claim a deal has been reached for the supply of optical fingerprint sensors to be used on the Galaxy A family at an unspecified time next year. While Samsung plans to integrate a state-of-the-art Qualcomm-made ultrasonic solution into the Galaxy S10, this slightly humbler optical technology for future Galaxy A-series releases is likely to come from a China-based company called Aegis. Optical in-display fingerprint readers are generally considered less accurate and reliable than their ultrasonic counterparts, which have been harder to mass-produce until recently and are still significantly pricier. Even so, if mid-range smartphones start getting “invisible” fingerprint recognition mechanisms as standard features, that could be seen as a game changer. Especially when the aim is to further reduce bezels with Infinity-O, Infinity-U, and Infinity-V designs. 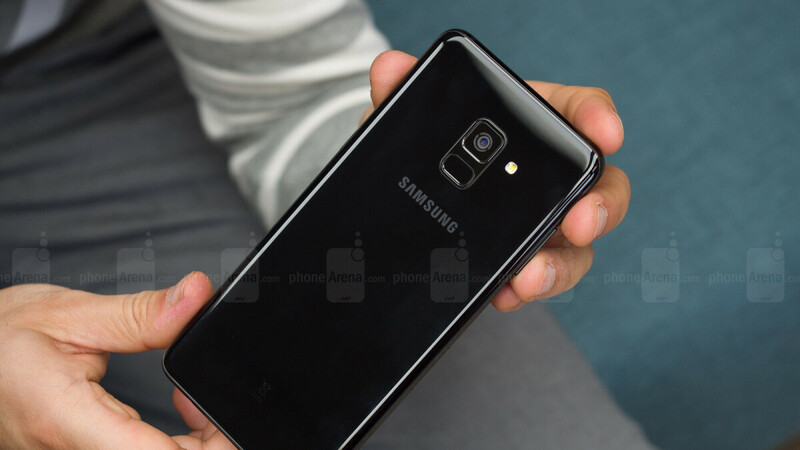 It remains unclear exactly which upcoming Samsung Galaxy A-series phones could sport in-display fingerprint sensors and what kind of a notch implementation they’ll end up adopting. It also feels somewhat unlikely now that the “budget-friendly” Galaxy S10 variant would go for a side-mounted biometric recognition method. Unless, of course, the Galaxy A70 and A90 are set to cost more than this S10 Lite. We'll just have to wait and see. It seems rather remiss of Samsung to be spending time focusing on fingerprint technology whilst falling even further behind on facial recognition. Considering FaceID has failed to live up to expectations, I'd hardly think they're falling behind. Their own solution with iris scanner and facial recognition combined is arguably superior to FaceID. Everyone knows Apple will utilize under screen ultrasonic fingerprint scanners in either 2019 or 2020. FaceID was the alternative when they realized the technology wasn't ready for mainstream application and mass production yet. I'd argue that Samsung know pretty good what they're doing.